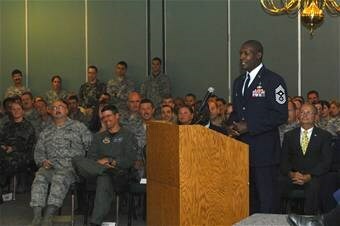 Professionally Mr. Lefford Fate has led, mentored, and served thousands of military members and their families. He spent nearly 31 years in the US Air Force and retired as Command Chief of the 20th Fighter Wing. A Chief is the top of the enlisted structure. It is the highest enlisted rank you can achieve, a great honor. 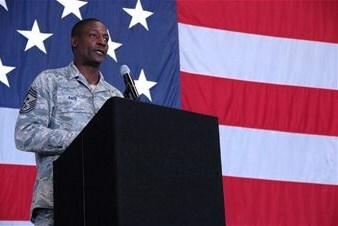 As Command Chief, Lefford was the senior ranking enlisted person on the base and was responsible for the care, development and welfare of 5000+ people. Since retiring from the military, he has worked in various capacities. He was the program director for a geriatric outpatient mental health program, Director for Health Service within the SC Department of Corrections and is currently the Director of Support Services for the City of Sumter, South Carolina. Lefford is certified to facilitate, speak, train and coach individuals and groups in the areas of leadership development, professional skills and personal growth. Mr. Fate is a husband, father, and grandfather. He knows it is not always easy to juggle our list of daily responsibilities. This makes it all the more important to have a structured, practical plan in place to avoid becoming overwhelmed. He holds a Master's Degree in Human Relations and a Bachelor's Degree in Social Psychology. Each day, he models the core values of Integrity first, Service before self and Excellence in all that he does. Lefford has learned tools and skills to enhance his own productivity, development and decision-making skills in order to create a more balanced lifestyle for both himself and his family. He greatly looks forward to sharing with you the leadership skills that he has learned over the last three decades. Lefford specilizes in Leadership, Teamwork, Communications and Personal Development. He is an excellent speaker and presenter with a passion for inspiring his audiences both young and not so young. As a Certified Coach, Teacher and Speaker, he offers workshops, seminars, keynote speaking, and coaching, aiding your personal and professional growth through study and practical application of proven leadership methods. Working together, after this working with him you and/or your team will move toward your desired direction in reaching your goals. 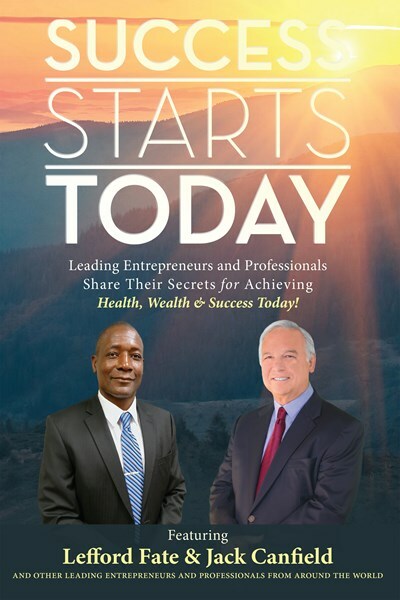 You will understand the keys to succeed in life and achieve great results by understanding four very important success building areas: Relationships, Equipping, Attitude, and Leadership. Attendees really enjoyed and appreciated the presentation and contribution to help make our event a tremendous success. Highly recommend Lefford! Lefford was engaging, thought provoking, humurous, personable, and overall a huge hit at our meeting. We hope to get him to come back sometime! Lefford Fate is a five start person in every respect. He is a multi-talented professional. I would not hesitate to recommend him as a motivational and/or keynote speaker, coach or work shop leader. His expertise as a speaker and his long time tenure in the Toastmasters organization were invaluable asses that he brought to bear as a contest judge for the American Legion Constitutional Speech College Scholarship Contest. He gave his time and knowledge freely and with enthusiasm. Mr. Fate should definitely be on everyones list of highly rated and sought after professionals. Thank you Paula, this was an amazing experience. I learned so much and was honored to spend time with the American Legion. Not only did I enjoy the event I learned so much. The young ladies who spoke were amazing and I am so very encouraged with the quality of the speakers in South Carolina and our school system. I look forward to working with you again in the future and if can ever serve you please don’t hesitate to call on me. Thank’s Drew, Thompson is a pleasure to work with. This is one of the best organizations I have had the pleasure to work with. As my friend and mentor John Maxwell say, Everything Rises and falls on Leadership and Thompson is full of great leaders. Thanks for letting me serve you. Mr. Fate was amazing when he spoke to our group. He was wise, insightful, and relatable. His speech was eye opening and very informative. We can't wait to hear him speak again!!! Lefford is wonderful to work with! As a facilitator at this event, he was able to engage the group to encourage participation in the conversations as well as to redirect folks who got off track and bogged down the discussion. Our group has worked with Lefford for years and cannot say enough positive things about him. Facilitation is an under-utilization of his true talents. Lefford is an outstanding speaker that can connect with any audience. Whatever need you have for a speaker, Lefford is an excellent choice. He will exceed any expectation. Thank you for the kind response. The City of Sumter Chamber of Commerce was a pleasure to work with. I look forward to a continuing and strong relationship. Please note Lefford Fate will also travel to Wedgefield, Dalzell, Horatio, Pinewood, Borden, Mayesville, Alcolu, Richland, Rimini, State Park, Rembert, Eastover, Gable, Manning, Summerton, Gadsden, Elliott, Lone Star, Lynchburg, New Zion, Turbeville, Bishopville, Hopkins, Cameron, Una, Lydia, Santee, Camden, Elloree, Olanta.